Trying To Find The Perfect Wedding Venue? I thought this article from the Huffington Post could help you in your search for your wedding venue. Shortly after a couple gets engaged not only do they get a million well-wishes but they also get the inevitable questions of when and where. The question of where and when a wedding will take place are not always as easy to answer as a couple would like them to be. Gone are the days where a couple would select the one wedding venue in their hometown and then check that task off the wedding planning list. Since the number of wedding venue options are infinite now, couples need to think about a wide variety of questions before the go ahead and select their space. Choosing a wedding venue might seem like a task consisting only of liking a space or not, but in reality there is way more to consider than that. I was fielding hundreds of emails a week in the Ask Maggie section of the Rustic Wedding Chic blog relating to just the venue, which lead me to believe couples are not finding the process of choosing a venue as easy as they thought it would be. Here, my five simple rules for booking the right wedding venue. With all the emotion and excitement that comes with the early stages of wedding planning it is very easy for couples to see a venue, get excited and sign the contract. While it may seem ho-hum, remembering to consider the logistics of the venue can actually save you big headaches later on. Everything from how many guest you will need the venue to fit, the season and time of day you want to have your wedding and any special accommodations your guests might need. Here’s a big question: should a couple pick the wedding venue before having a guest list or should they get a guest count and then pick the venue? It is not easy to have a guest count two weeks into the wedding planning process but if you don’t have an idea of what size wedding you are going to have you will not be able to pick a venue confidently. No firm count is needed to look at venues, but one of the first questions the venue will ask a couple is how many guest you’ll be hosting. Having a rough idea of your wedding size — whether it be 60, 125 or 300 guests — will allow you to cross venues off your list without having to go look at them in person since almost every venue lists their facility size online. Searching an onine venue datatbase like RusticWeddingGuide.com will allow you to save time and not have to call, email or track down basic information about a venue. While getting married might be one of the most self-absorbed times in a person’s life, you take into account any special accommodations your guests might need when selecting a venue. While any established wedding venue will have proper accessibility for people with disabilities, a venue that is not typically rented out as a business might not have full wheelchair access. Saturday is still the most popular day for couples to go out and visit venues and since most couples get married on a Saturday it only makes sense. But one of my most important rules is to go back for a second visit at the very time of day your wedding will be held. If you visit a venue at 10 a.m. on Saturday morning and you are planning to have your wedding at 5 p.m. in the evening, you probably won’t be getting the same view of the venue. It only seems logical to be able to see the venue at the very time of day you will be hosting your wedding but it is something that, most of the time, you will need to ask for. Everything from how the light floods into the space, to if a cold draft sweeps through the hallway can help you figure out if this is the venue you want to spend your money on. Visiting the venue is also the perfect time to bring with you your wedding planner or coordinator and have them take a look. Oftentimes those wedding professionals have a different take of a venue and might offer some good advice. There really are two very different types of wedding venues, full service and not full service. A full service wedding venue most of the time offers everything from table and chair rentals, to linens and catering supplies, while a non-full service venue most of the time only offers you the space and it is up to you to fill in the rest. This means you will be responsible for booking all of the vendors for the wedding day. Either way, some venues have required vendors that they want you to work with, so that is something to figure out before you the book space. Working with venue-required vendors such as caters, rental companies, and event designers does not give you the option of “shopping” around and finding a quote that meets your budget. A romantic vineyard, an urban industrial loft, an elegant barn, all of these spaces sound appealing when planning a wedding. But just like its not easy to fit a square peg into a round hole, it is not easy to plan a style-specific wedding at all venues. 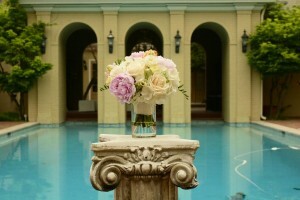 Taking into account what style wedding you want will help you choose the venues you need to visit. If a modern minimalist wedding is what you have your sights set on, you might want stay clear of any country charm venues. Many couples think that they don’t need to decide on a wedding style early on, but I think it is one of the most important decisions because you might be able to save on decorations and decor if you select a venue that suits your wedding day style. Making a list and asking all the questions you have about a venue is important but not as important as asking that same question to multiple people associated with the venue. Depending on who you are dealing with and what their role is at the venue you might get different answers, so make sure you ask your questions to everyone — from the catering manager, to the business manager, to the day-of coordinator. Important questions that you might not think to ask are, “How many weddings are held here in one a day? Who will be here helping me the actual day of the wedding? Do you have any construction or landscape changes coming up before my wedding? Do you anticipate any changes to the venue before the wedding day?” Just when you think you have asked enough questions, ask again and then of course get everything in writing! 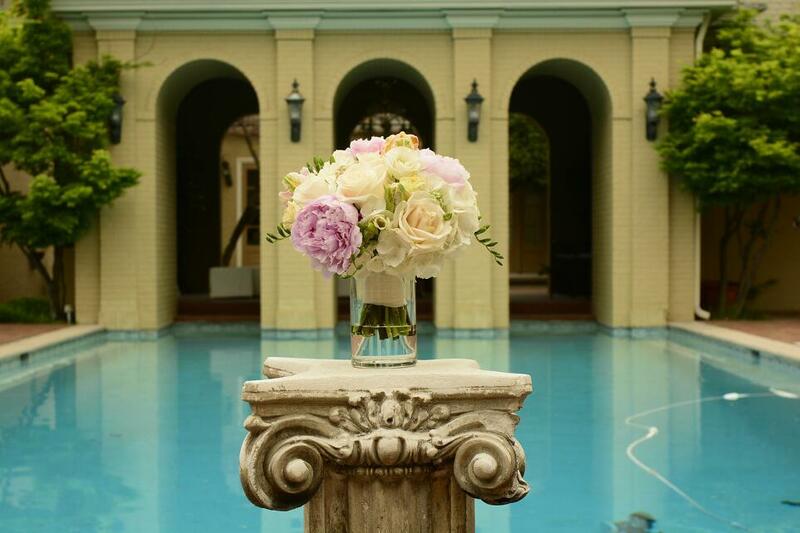 When it comes to wedding venues East Ivy is a special place. It is conveniently located in the heart of Nashville and is only 15 minutes from the airport. 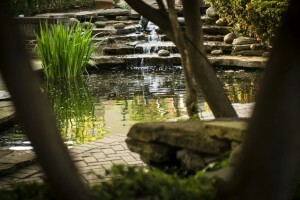 The gardens and waterfalls are breathtaking, and our staff are here to serve. We invite you to come see for yourself why the Historic East Ivy Mansion is Nashville’s Premiere wedding venue.